Home is where the heart is and we’ve made our preschool surroundings comfortable and warm. 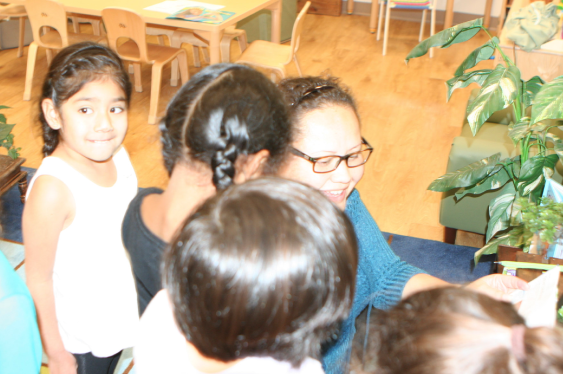 Our innovative learning environment is filled with lots of inquisitive equipment and fun educational activities. There are plenty of cush places to flip and read or listen to music, and costumes to inspire imagination but the real strength of Children’s Paradise Preschool in San Diego is our highly effective and developmentally appropriate Academic Curriculum. We use the California Foundations & Frameworks curriculum which was created by the Department of Education to guide our practices. The curriculum at the Children’s Paradise is a diverse blend between the Creative Curriculum, Growing up Wild, Writing without Tears and a variety of Montessori methods. We infuse our play-based curriculum with Reggio Emilia open-ended messy-play and use a variety of natural play learning materials to support hands on learning. This ecclectic approach to High Quality Early Learning supports and is tailored to the learning style of each and every child. Our research-based highly educational curriculum, using the latest methods combined with a team representing the best academic minds ensures all children enter kindergarten Healthy and Ready to Learn! Highly educated caregivers – with a Bachelor’s Degree or higher! Intentional Curriculum Planning using results from the Desired Results Developmental Profile (DRDP) ongoing observation process. Verified Emotional Support, Classroom Organization & Instructional Support using the CLASS tool. Healthy meals and snacks prepared at each Center by our amazing in-house Chef! Each classroom is set up with thought and consideration of the children’s age and developmental stage. 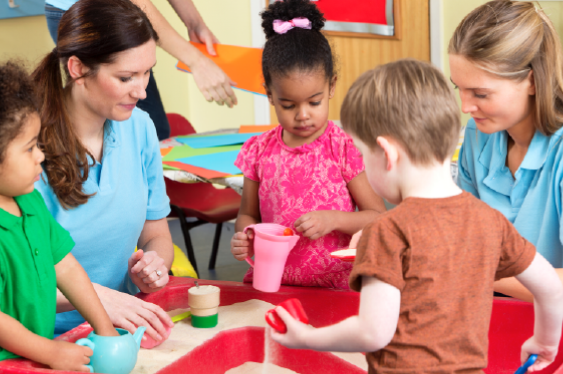 Our preschool and developmentally appropriate classrooms are carefully planned for children ages three to five so the children have fun and learn simultaneously. Our classrooms meet the needs of the children and provides materials that are age appropriate, individually appropriate, and culturally appropriate while being safe and secure. Teaching a child when he or she is ready and able to process the learning creates positive learning experiences that will encourage further growth and learning in elementary school. Children who are purposefully prepared for kindergarten are much more likely to achieve a lifetime of academic and career success. 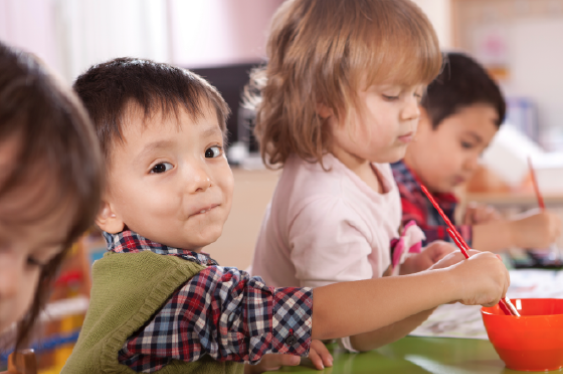 Our preschool program has been developed to act as a precursor to the California Department of Education requirements for California State Elementary Schools. Each day is filled with engaging activities involving pre-reading, writing, literacy, and language development, social-emotional skill building, the alphabet, mathematical concepts and hand on science and art all while having fun! 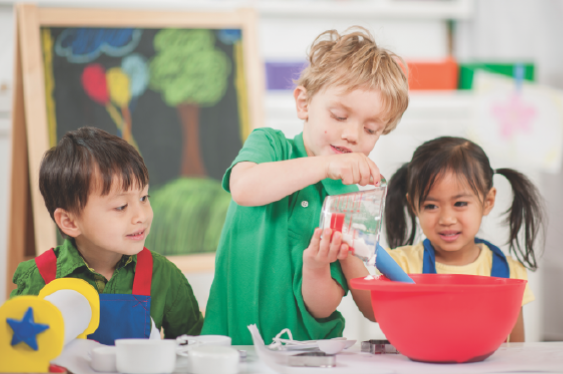 Your child will sharpen the skills required to enter kindergarten and be ready for more learning when they begin their first year of school. All staff at Children’s Paradise are well educated, CPR certified, First Aid trained, fingerprinted, cross referenced, cleared through the Department of Justice, and exceed all additional requirements as mandated by the State of California Department of Social Services Community Care Licensing Division. We take pride in their commitment and dedication to the children who are entrusted to our care. All staff members continuously participate in ongoing higher education, professional development and consistently provide care and education to young children in a manner that supports the latest developments in the early childhood education field. 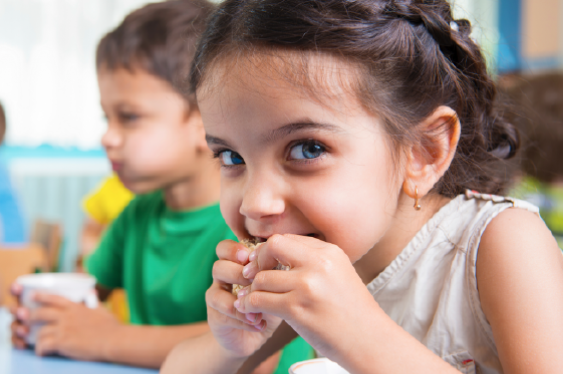 We value high quality nutrition and have chosen to include all meals and snacks as an ongoing part of the service we offer children and their families. Meals are tasteful, visually appealing, and prepared daily by our center chef! Parents everywhere coax their children to try new foods. Here at Children’s Paradise, the children are eager to try new foods. A favorite snack is carrots and broccoli served with a nutritious dip. The monthly menu includes culturally diverse selections which feature fresh fruits and vegetables, milk, homemade breads, homemade granola and yogurt, healthy pizza, burritos, pasta dishes… and the list goes on and on.